Naga explained that teeing off for her first pro-am was nerve-wracking – but nothing compared to waiting to do her first dance on Strictly. She told a VERY funny story around Pasha’s advice on keeping close in the Tango. Preparation was the key to feeling confident which is why Naga is such an effective interviewer and moderator. In questions from the floor Naga answered that Hilary Clinton was her best interview subject. We discovered that Kelly lost her first race at 12 but by 17 she was British 1500 metre champion. Kelly learnt how to be disciplined during her career in the army before she won her double gold in Athens. She told us that at her keynote speech to launch More Than Medals Kelly emphasised how important it was not to waste the key attributes inherent in being a successful athlete and how important it was to use this resource to improve working practices and efficiencies in industry after they had retired from sport. In questions from the floor Kelly answered that the colour of her skin had never been an issue in her life one way or the other – she was just Kelly. We’d like to let you know that both Naga and Kelly are available for your events. 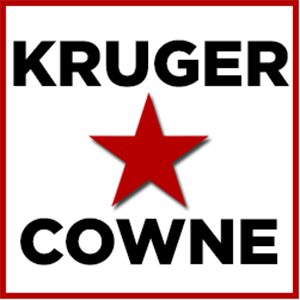 The Kruger Cowne Breakfast Club meets monthly and gives you and your colleagues an opportunity to listen to world class speakers, to ask them the questions you’ve been dying to ask and to book our speakers for a wide array of conferences and events, to deliver keynotes and after dinner speeches, or to take part in moderated Q&A sessions, panels and more.